The first number, +5.1, tells us the Harley's stock price has risen by 5.1 percent on a year-to-date (YTD) basis. The next two numbers, 54.35 and 32, are the highest and lowest prices for the stock over the past 52 weeks. The . 12 is the annual dividend in dollars. Because Harley, like most companies, pays dividends quarterly, this $.12 is actually the last quarterly dividend multiplied by 4. So, the last cash dividend paid was $.12/4 = $.03, or 3 cents per share. Jumping ahead just a bit, "Last" is the closing price on the day (i.e., the last price at which a trade took place before the NYSE closed for the day). The "Net Chg" of +3.08 tells us that the closing price of $41.79 is $3.08 higher than it was the day before; so, we say that Harley was up 3.08 for the day. 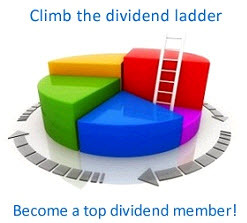 The column marked "Yld %" gives the dividend yield based on the current dividend and the closing price. For Harley, this is $.12/41.79 = .0029, or about .3 percent, the number shown. The next column, labeled "PE," is the price-earnings ratio we discussed in Chapter 3. It is calculated as the closing price divided by annual earnings per share (based on the most recent four quarters). In the jargon of Wall Street, we might say that Harley "sells for 33 times earnings." Finally, the column marked "Vol 100s" tells us how many shares traded during the day (in hundreds). For example, the 37474 for Harley tells us that 3,747,400, or almost 4 million shares, changed hands on this day alone. If the average price during the day was $42 or so, then the dollar volume of transactions was on the order of $42 X 3.7 million = $155.4 million worth for Harley alone. This was a fairly active day of trading in Harley shares, but this amount is not unusual and serves to illustrate how active the market can be for well-known companies. If you look over Figure 8.2, you will notice quite a few footnote indicators (small letters) and special symbols. To learn more about these, pick up any Wall Street Journal and consult the stock pages. See if you can find out what the club symbol (£) means on the Harley quote. You can get real-time stock quotes on the Web. See finance.yahoo.com for details.